Adventure Game Studio | Games | Runestones! A short puzzle game about rolling stones! 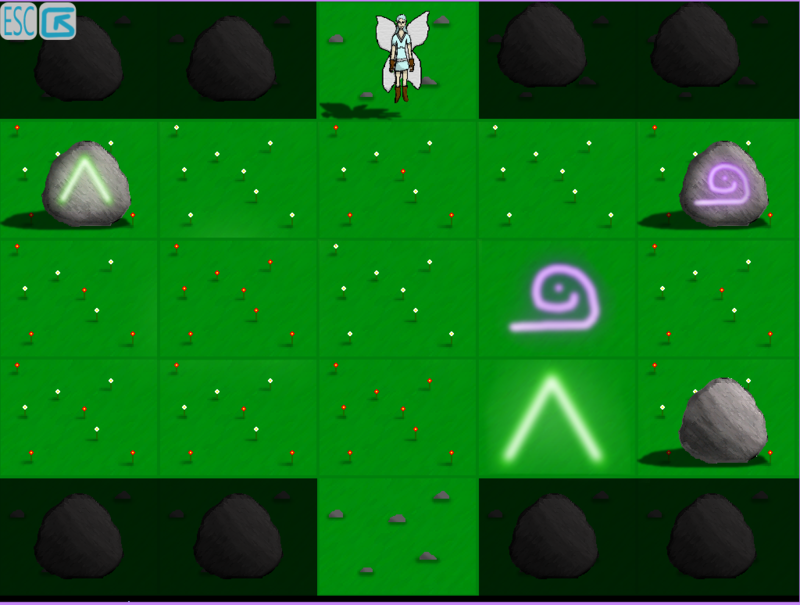 A puzzle game where you must align magical runestones with matching runes on the ground. Runestones keep rolling until they encounter an obstacle (apparently friction doesn't exist much), meaning you'll have to move the rocks in interesting and challenging ways to complete each level. THis was a short game project that I did over the course of about a month. I'm pretty pleased with the gameplay but I'm afraid the graphics aren't too good. "A solid puzzle game, though somewhat lacking in substance and polish." Clever little puzzle game that's a lot tougher than it looks at first. Graphics could do with a little polish and the music grated after a while (not that it was bad, just a bit repetitive). Nicely done... there only appear to be 15 levels, but I got stuck on level 11 anyway!